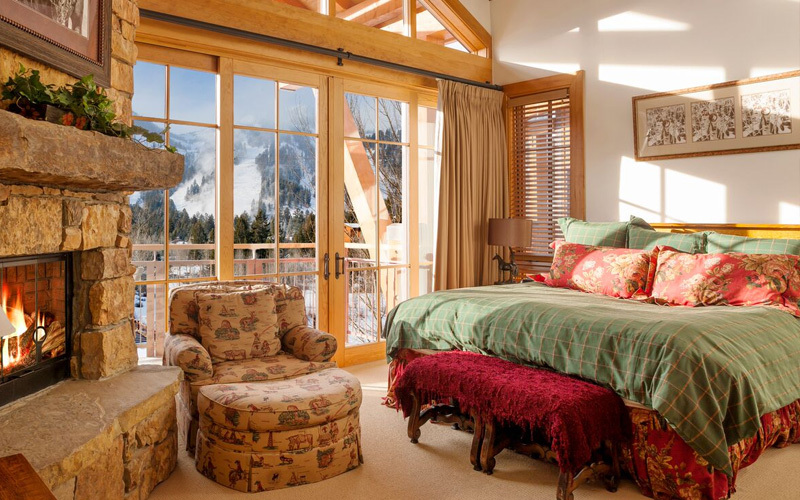 After a day in the crisp alpine air, nothing is as welcoming as a private retreat with exquisite views. 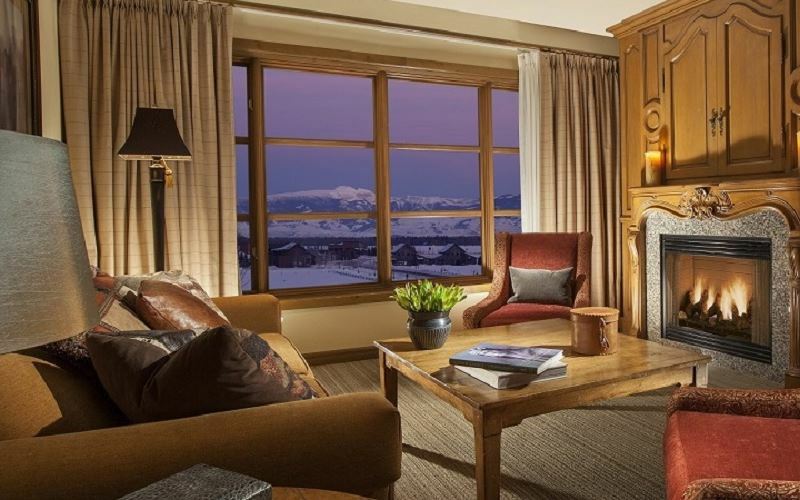 We offer a diverse collection of Jackson Hole resort suites, guest rooms, penthouses and private residences to create your perfect mountain refuge. Jaw-dropping views from large windows or private balconies, complimentary Wi-Fi, flat panel HD TVs, fireplaces, refrigerators and plush robes and slippers wait. 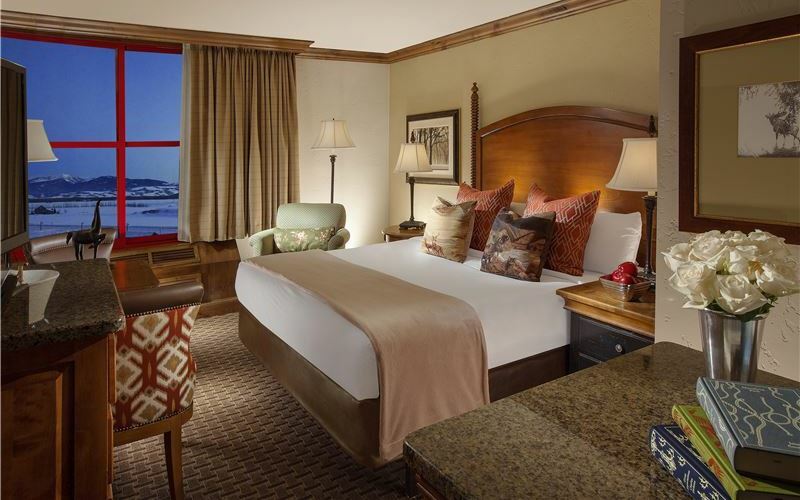 Sleep in complete comfort cradled in signature bedding. Then refresh in our luxurious bathrooms with granite countertops and eco-friendly amenities. Discover your haven in the mountains. This room type includes either a guest room with an ADA bathroom at approximately 325 square feet, or our smallest guest room at approximately 280 square feet with an obstructed view. Enjoy a refrigerator, electronic safe, iron & ironing board and gourmet coffee and tea. Approximately 325 square feet, featuring custom designed headboard with leather inserts with two queen size beds, and sitting/dining area with table and two comfy chairs. Approximately 360 square feet with a king size bed, sitting/dining area with table and two comfy chairs, large closet, and semi-private balcony. 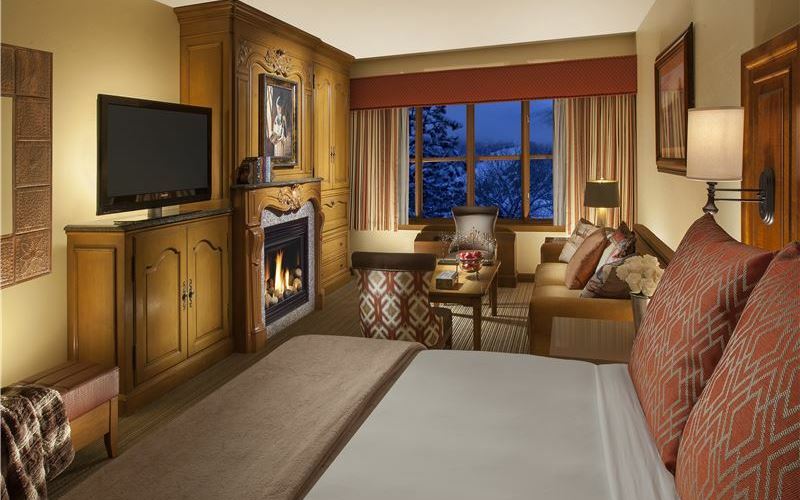 Approximately 450 square feet with a king size bed, sleeper sofa, and fireplace with custom carved wood cabinetry. 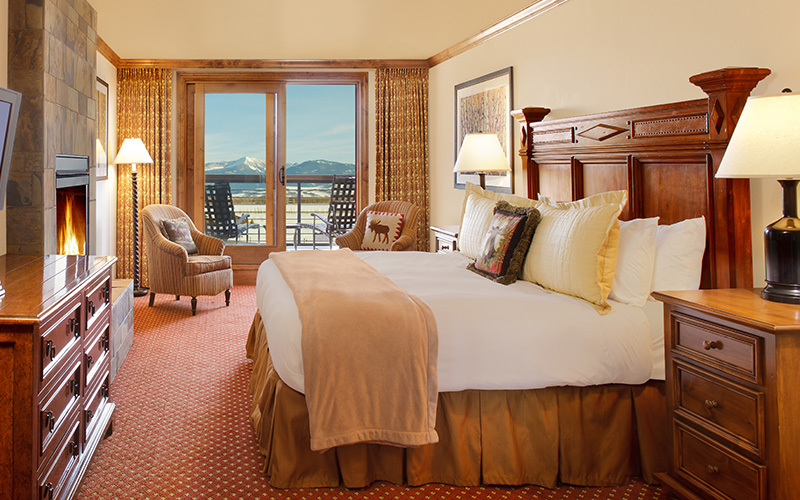 Approximately 1,000 square feet located on the top floor of the hotel with large balconies facing Snake River Valley and Sleeping Indian Mountain. 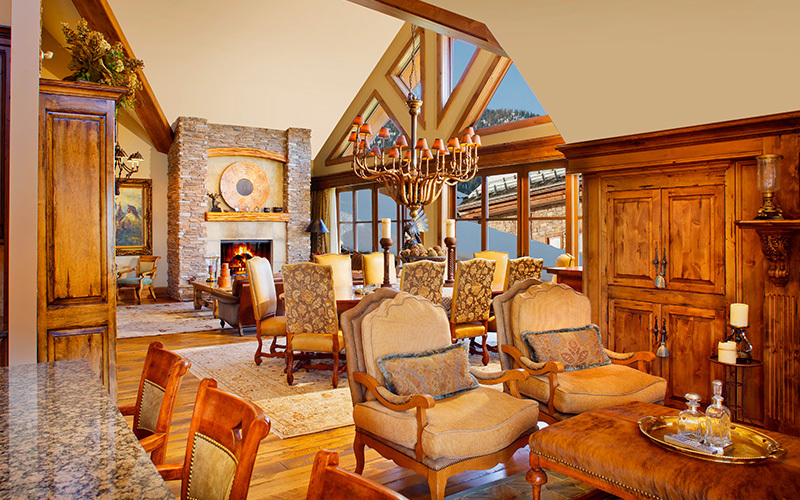 Living room with fireplace, sleeper sofa, separate dining area, powder room, and large balcony with table and chairs. Master bedroom with king size bed, fireplace, sitting area, and large balcony with lounge chairs. Oversized master bath with heated floors, double vanity, separate bath, and glass walled shower. Enjoy a refrigerator, microwave, electronic safe, iron & ironing board and gourmet coffee and tea. Approximately 1,400 square feet featuring spacious living room with sleeper sofa, fireplace with custom carved wood cabinetry, and dining area with seating for six adjoining the living room. Large kitchen with premium appliances, granite breakfast bar area and washer/dryer. Master bedroom offers a king size bed, large walk-in closet and luxurious marble bathroom with granite countertop and separate tub, and glass shower. Second bedroom features either a king size bed or two twin beds, and second marble bathroom which is also accessible from the living area. Approximately 1,800 square feet featuring a spacious living room with sleeper sofa, fireplace with custom carved wood cabinetry, and dining area with seating for eight. Large kitchen with premium appliances, granite breakfast bar area and washer/dryer. Master bedroom offers a king size bed, large walk-in closet and luxurious marble bathroom with granite countertop and separate tub, and glass shower. Second bedroom features either a king size bed or two twin beds, and second marble bathroom which is also accessible from the living area. Third bedroom offers king size bed and marble bathroom with granite countertop. Approximately 2,400 square feet featuring a large open floor plan with vaulted ceilings, living room with stone fireplace, gourmet kitchen with breakfast counter, and large dining area with seating for six. Two and one half luxurious marble bathrooms plus washer/dryer. Master bedroom features a king size bed, stone fireplace with sitting area, and oversized bathroom with jetted Jacuzzi tub, glass walled steam shower and heated floors. Second bedroom offers a king size bed. Elegant spiral staircase leads to a large loft bedroom with two twin beds and a day bed with trundle. Approximately 2,800 square feet featuring a large open floor plan with vaulted ceilings, living room with stone fireplace, gourmet kitchen with wrap around breakfast counter/bar, wine cooler, and large dining area with seating for ten. Three and one half luxurious marble bathrooms plus washer/dryer. Master bedroom features a king size bed, stone fireplace with sitting area, and oversized bathroom with jetted Jacuzzi tub, glass walled steam shower and heated floors. Second bedroom offers a king size bed. Third bedroom offers a queen size bed. Breathtaking approximately 3,000 square feet featuring four bedrooms, four and one half bathrooms and loft. 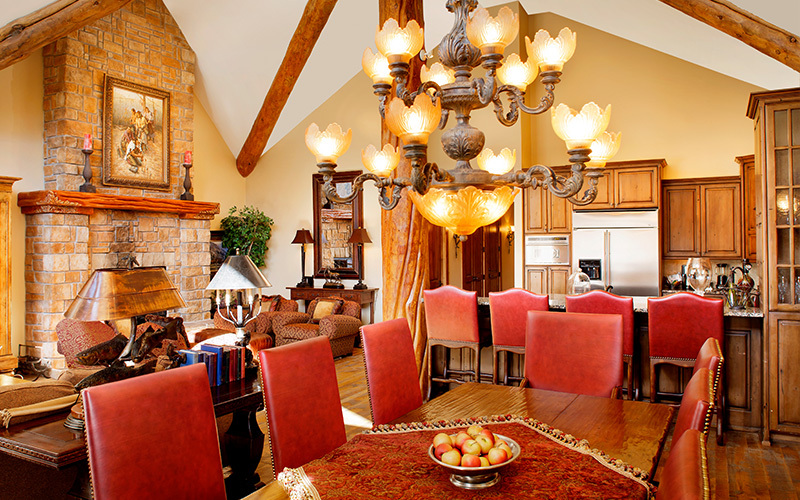 Fully furnished gourmet kitchen, dining area, living area with stone fireplace, flat screen TV, DVD/CD player, utility closet with washer/dryer, high speed wireless Internet, and stunning views. Master bedroom offers a king size bed, fireplace, sitting area, flat screen TV with DVD player, private bathroom with glass walled steam shower, jetted bathtub, granite countertop, double vanity, and walk-in closet with in-room safe. Second bedroom offers a king size bed, sitting area, built-in desk, flat screen TV with DVD player, walk-in closet, private bathroom with granite countertops and traditional shower/tub combination. Third bedroom offers two twin beds, sitting area with queen sleeper sofa, flat screen TV with DVD player, walk-in closet, private bathroom with glass walled shower and granite countertops. Fourth loft bedroom features two beds, sleeper sofa, private bathroom with traditional shower/tub combination, sitting area with desk, foosball table, flat screen TV and mini refrigerator. 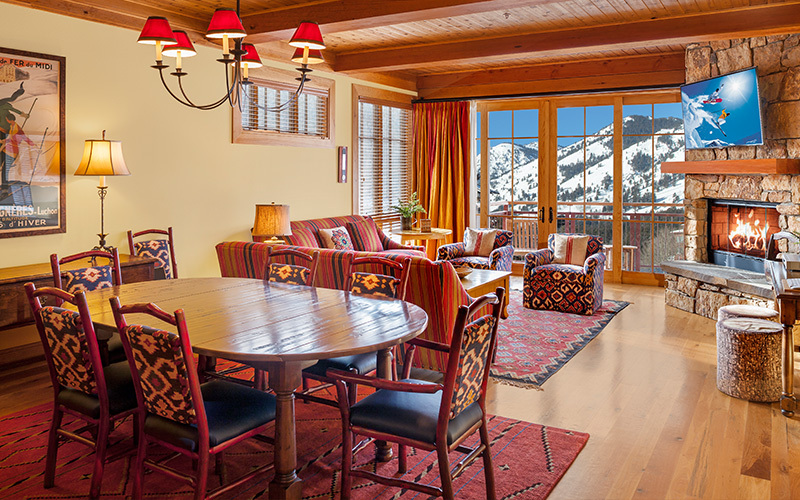 Enjoy pure comfort and ski-in/ski-out convenience at the Crystal Springs condominium building located just 200 yards from the Snake River Lodge. 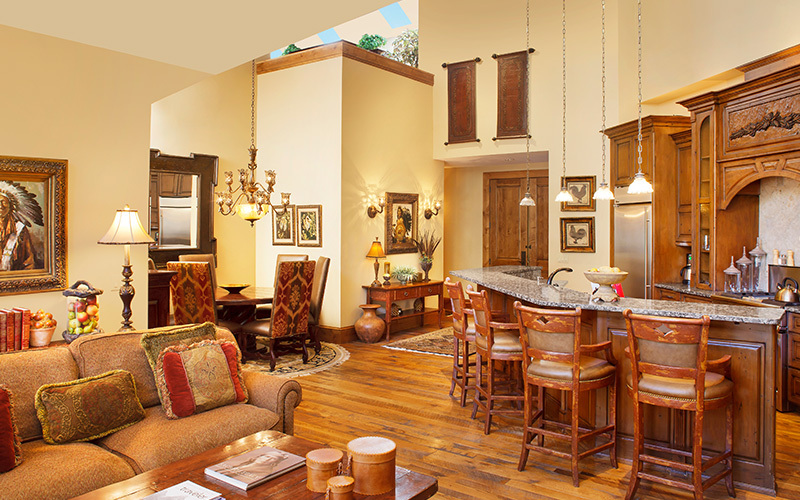 Each residence is a spacious 2,200 square feet and offers three bedrooms and private balconies. 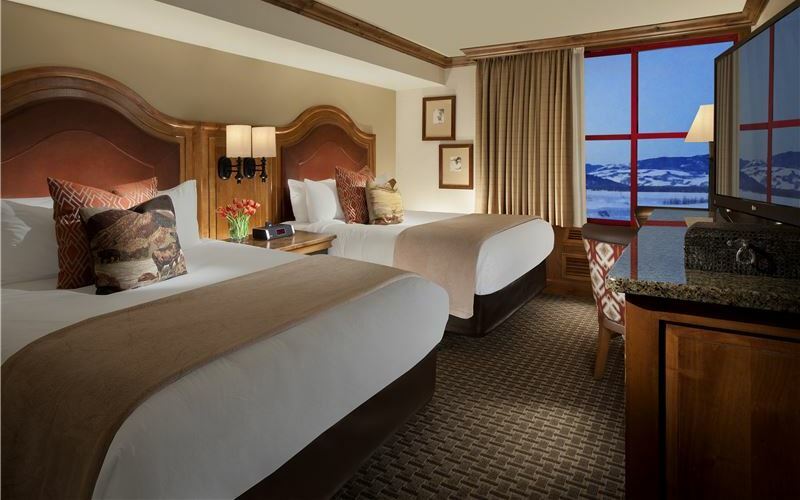 Crystal Springs guests enjoy the same Snake River Lodge & Spa amenities. 2,100 square feet condominium residence located mountainside adjacent to the Tram Building just 200 yards from the Snake River Lodge. Three bedrooms, 3 full baths, one half bath and 200 square foot private covered balcony. 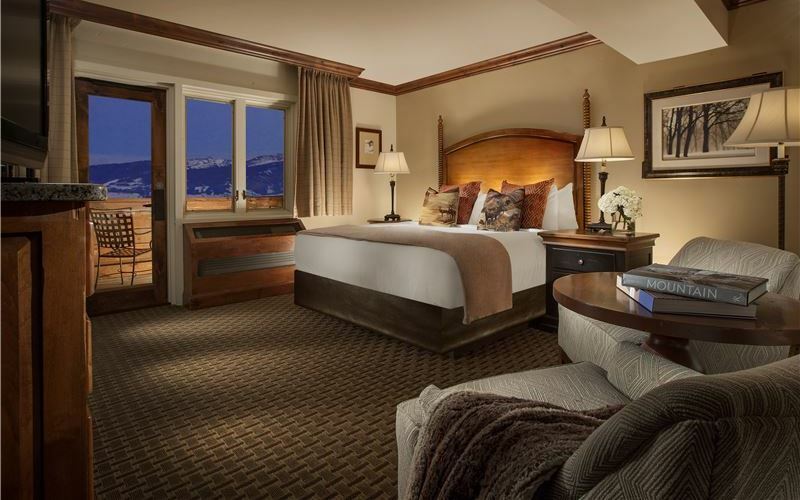 Master bedroom features a king size bed, fireplace, and private bathroom with jetted tub and separate glass shower. The second bedroom offers one queen bed with private bath while the third bedroom offers two twin beds with private bath. Fully furnished kitchen, dining area, spacious living area with fireplace, flat screen TV, half bathroom, and washer/dryer. 2,100 square feet condominium residence located mountainside adjacent to the Tram Building just 200 yards from the Snake River Lodge. This unit directly faces the mountain and features 3 bedrooms plus loft sleeping area, 3 full baths, 2 half baths and 200 square foot private covered balcony. 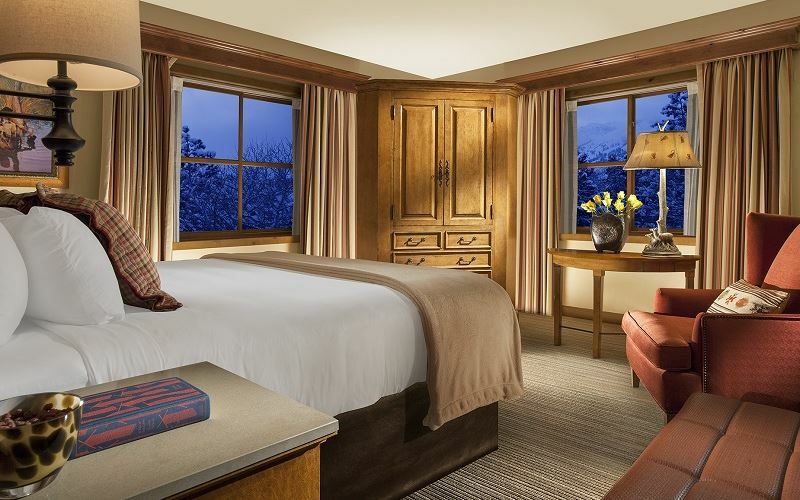 Master bedroom directly faces the mountain and features a king size bed, fireplace, and private bathroom with jetted tub and separate glass shower. The second bedroom offers one queen bed with private bath while the third bedroom offers a day bed with trundle that can be converted to one king bed, with private bath. Fully furnished kitchen, dining area, spacious living area with fireplace, flat screen TV, half bathroom, and washer/dryer. The loft area offers a sectional sofa and additional half bath.